Twenty-ninth annual users group conference will be located in Chicago, Illinois, from March 19 - 23, 2017, at the Hilton Chicago. There is a wide access to manufacturing technologies today for people looking to bring their innovative product idea to the market. New capabilities bring together the Manufacturing Process Plan, Work Instructions and MBOM (Manufacturing Bill of Materials) making them interdependent and automatically synchronized as changes occur. This innovation enables direct EBOM (Engineering BOM) to MBOM translation bridging the gap enterprises have and creating the process foundation necessary for Industry 4.0 and Industrial Internet initiatives. SCADAware will display its full StatusWatch product line in the East Building - Booth: E-4030, and willunveil a new addition to its StatusWatch line - StatusWatch Live. 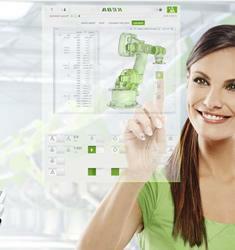 This years IMTS will feature the latest in the line of powerful Mastercam machining software. Stop by booth # E-3340 at McCormick Place, Chicago, IL, September 12-17 for a look at Mastercam 2017, the latest release, which introduces a more efficient workflow, improved usability, Dynamic Motion improvements, and so much more.